Skye Gravestones | Anna Maclean. 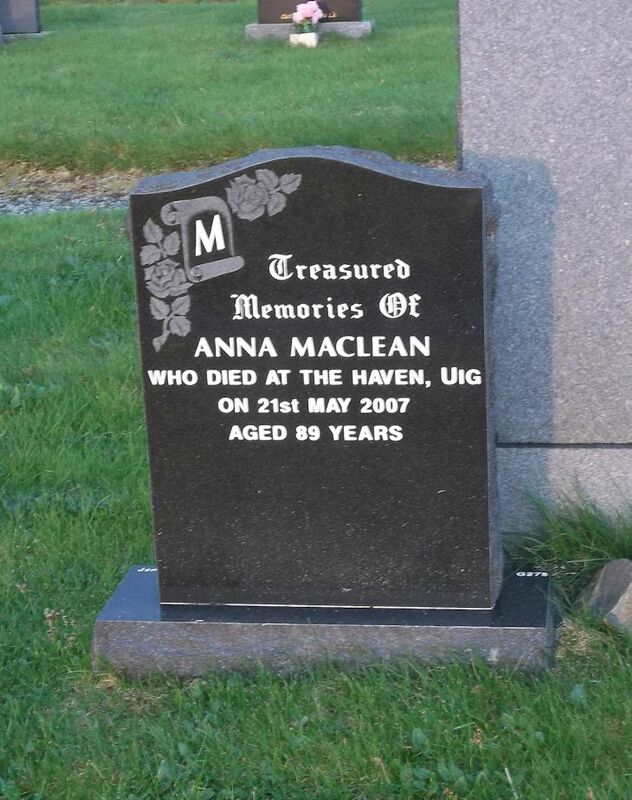 Treasured/memories of/ANNA MACLEAN/who died at The Haven, Uig/on 21st May 2007/aged 89 years. Picture Added on 20 May 2018.